Gamification is the use of design elements, thinking and game mechanics in non-play areas to involve people in products, services and processes, and solve problems. It is one of the trends that more expectation is generating around the world in recent times, shaping a new industry and science of engagement. In the Gamification course, learners will learn about what is gamification through reflection on doing (Experiential learning), successful examples of gamification, get an introduction to the psychology of gamification and introduce some of game elements. What is Gamification? Why Gamification? What is motivation and theories of motivation? The psychology of game elements. Use the game elements and Gamification in our life. Ehab Abu-Dayeh is Senior Course Manager and Gamification Specialist at Edraak. Ehab is responsible for the development of Edraak’s educational content strategy, and oversees the development of online courses on Edraak. He also leads on the implementation of science-backed instructional design across all courses. 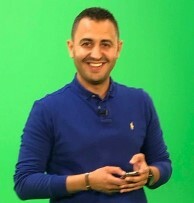 In his role as Gamification Specialist, Ehab is responsible for the design and development of gamification elements across selected courses, where he employs game techniques to drive the course engagement journey, from registration to completion. Ehab graduated with a BA in Computer Science from Princess Summayya University and holds a Level 1&2 Gamification Apprentice Certification from Sententia. In addition, Ehab is a member in Gamification World Confederation (Gamfed), and was ranked #12 in the Global Gamification Gurus power 100 according to rise global.